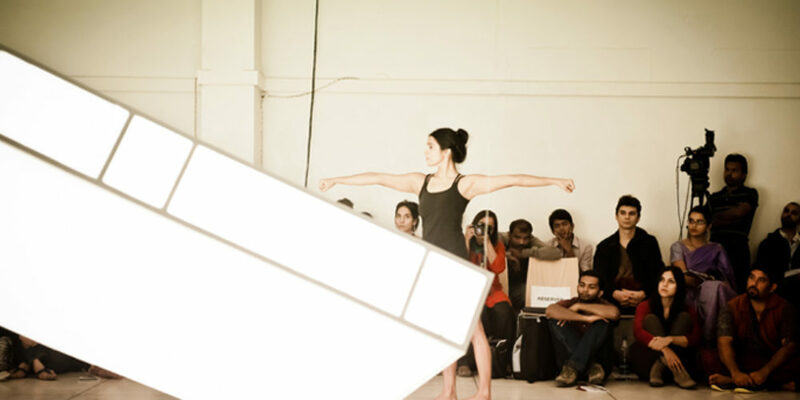 Outset India supported Beautiful Thing 2, a contemporary dance piece by Padmini Chettur with a light installation by Zuleikha Chaudhari at GATI Ignite! Dance Festival. Beautiful Thing 2 positions the body almost as an architectural object in an empty space. Using time as powerful strategy in the very dramaturgy of presence. The performance prescribes nine ‘lines’ in space. The physicality of the body becomes abstracted over time, till the spaces it holds and moves become more present. The performance remains constantly on the edge of ‘performing’ and not. Beautiful Thing 2 was commissioned for the Singapore arts festival, co-produced by Szene Salzburg and co-presented by Bo:m Korea in 2011.